I am happy to report that the bathroom cabinet project is looking less dismal. Then it was off to Sherwin Williams to test the love from their customer service. Cabinet door in hand, I showed the clerk the terrible finish resulting from the paint and roller that had been recommended to me. He confirmed that the ProClassic I'd originally asked about could not be tinted to black, so I looked at options for dark grey instead. Then I talked to another clerk who had recently painted a crib using ProClassic satin and a mohair roller with excellent results. 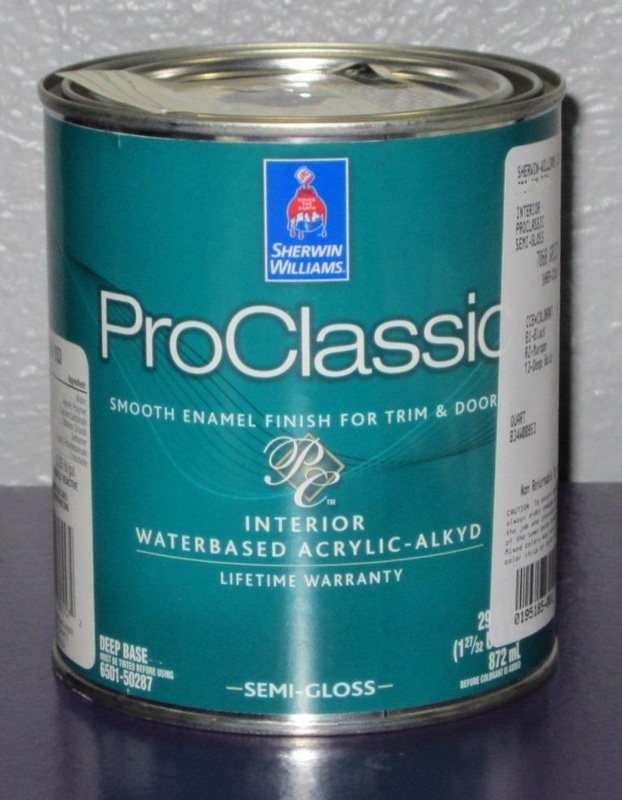 Unbeknownst to me, the first clerk was already mixing the paint... in semi-gloss instead of satin. Ugh. A paint store is not a fast food drive-through where every customer has to be served in two minutes or less. Can I please have five minutes to try to make the right choice, lest I set myself up to waste another two or three hours sanding and repainting? Ultimately, I decided to keep the semi-gloss as it might be a bit more durable for the frequent use and cleaning the cabinet will endure in a bathroom. 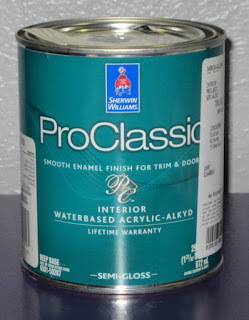 The clerk gave me the paint at no charge. Not Amazon-level love, but quite acceptable. Then I went to the grocery store. Though my purchase was almost exclusively vegetables and fruits, I did also buy spaghetti noodles and a frozen pizza. This apparently prompted the 50-ish female clerk to ask me, "How many kids do you have?" I replied very matter-of-factly, "None. I just eat like a 10-year-old." She was embarrassed. I thought it was hilarious. :D I snickered all the way out to the car. When I got home, I discovered my missing package from Amazon sitting next to the garage door. O.o Maybe it was delivered to a neighbor by mistake, and it took them three days to bring it over? I emailed back to Amazon customer service so they can cancel the refund or charge my card again. Seems that everything falls into place now! I keep my fingers crossed that your bathroom cabinet will be finished and shiny soon! It's smooth sailing till the finish now, right right? I can't wait to see it! If I was behind you in line, I'd snicker-- that is a good one. Thanks! I hope it's smooth sailing. "How many kids do you have?" I replied very matter-of-factly, "None. I just eat like a 10-year-old." Love it! Surprised I never get asked that with all the junk I buy! Whyyyyy do people ask people that haven't said anything about having kids, how many kids they have? Anyway - good luck with the cabinet! !